This was breakfast on the morning of our checkout. I had to use up the remainder of the figs which had been eaten with vanilla bean gelato so I sautéd those with baby truss tomatoes and served them on the side with some toasted sourdough topped with prosciutto and boiled eggs. 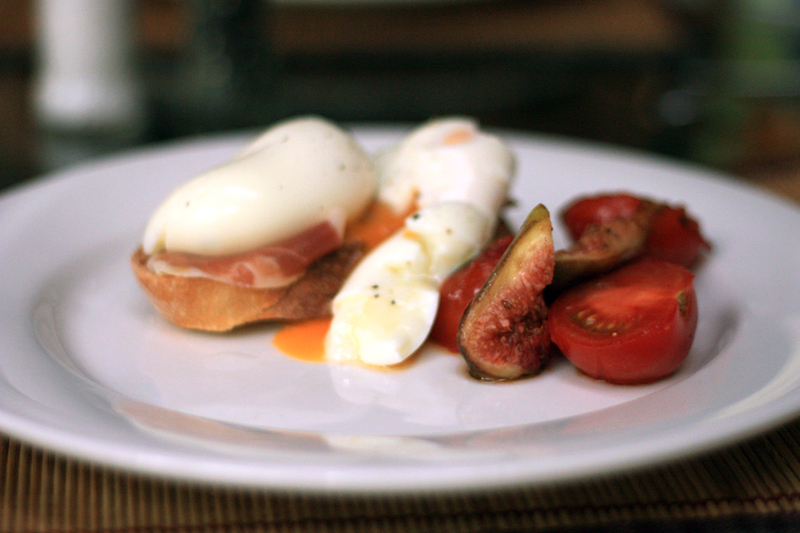 Poached eggs, again, would have worked just as well. And sadly the weekend had to come to an end.